Robert L. Isaacs earned a bachelor's degree in business administration and marketing from the College of William and Mary in 1990. He earned his J.D. Degree from George Mason University School of Law in 1993. 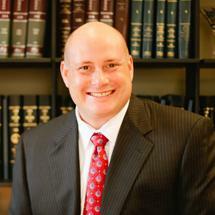 Rob started his career while still in law school in Fairfax, working at Rosenfeld & Shearer, P.C. focusing on family law, litigation, and traffic defense. In 1995, Rob returned to his home town of Richmond to create the practice he felt best served his client's needs. He remains focused on family law, personal injury and general practice issues. Rob has represented diverse clients with unique issues in all levels of state courts, including the Virginia Court of Appeals and Supreme Court of Virginia. Rob and his wife Kristen reside in Hanover County, where they raise their two boys and enjoy time with his oldest son. He served Hanover as Chairman of the Special Education Advisory Committee, helping improve the education system for all students. He enjoys outdoor activities and shooting archery with his family. During the week he frequently lifts weights at the YMCA, and does kickboxing classes at Competitive Edge Karate (www.cek-va.com) in Henrico's West End.